Prominent scientist in the field of space biology and medicine, one of the founders of gravitational physiology, vice-president of the International Academy of Astronautics, active member of the Russian Academy of Sciences (RAS) and Russian Academy of Medical Sciences (RAMS), member of RAS Presidium, Academician-Secretary of the RAS Section of Biological Sciences, Doctor of Medicine, professor, honoured worker in science of Russia. A.I. 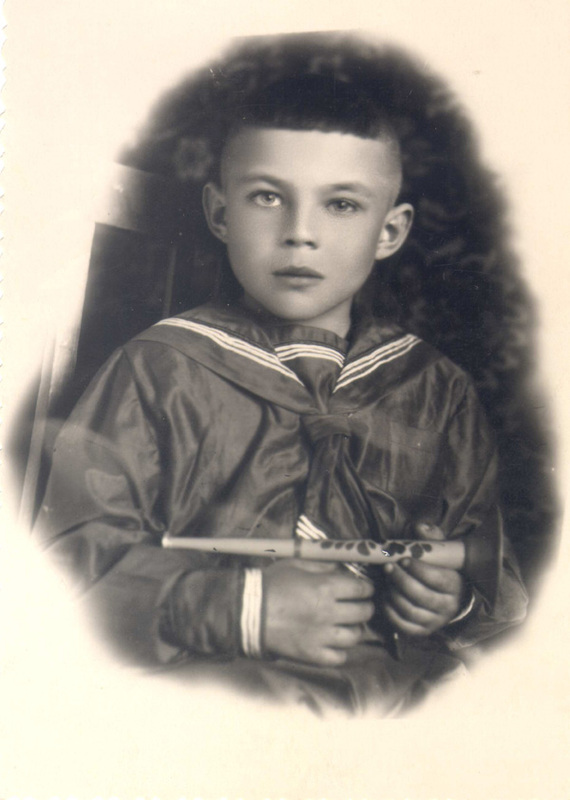 Grogoriev was born on March 23, 1943 in the village of Medelevka, Radomyshl district of the Zhitomir region. 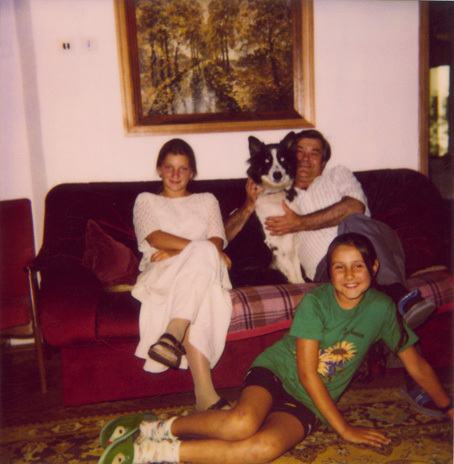 In 1966 he graduated from the Second (Pirogov's) Moscow Medical Institute with the degree of therapist. A.I. 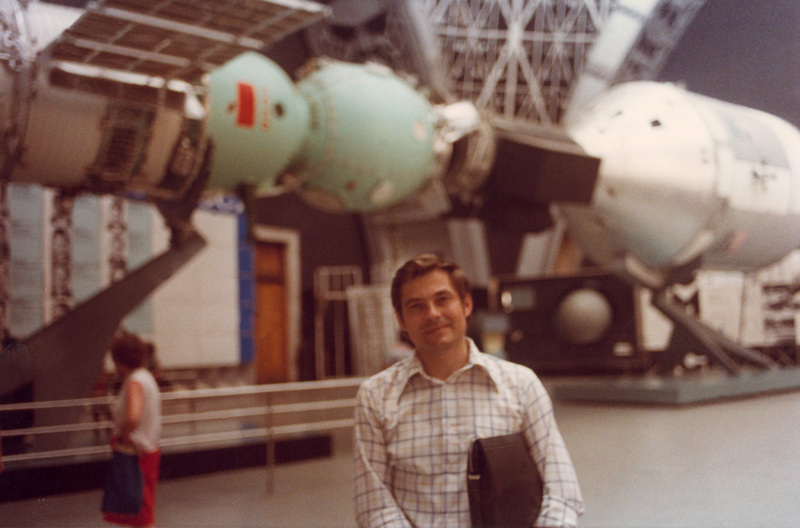 Grigoriev in NASA Johnson's Space Center, Houston, the USA, 1979. The life and professional development of Anatoli Ivanovich Grigoriev have been inseparably linked with the Institute for Biomedical Problems where he came soon after the graduation. On completion of the postgraduate training under the guidance of academician V.V. Parin, A.I. 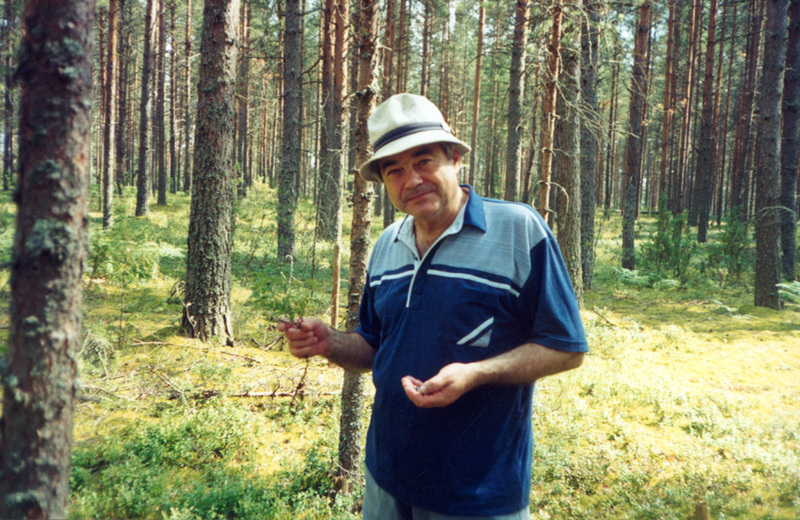 Grigoriev received his Ph.D. in 1970 and MD in 1980. 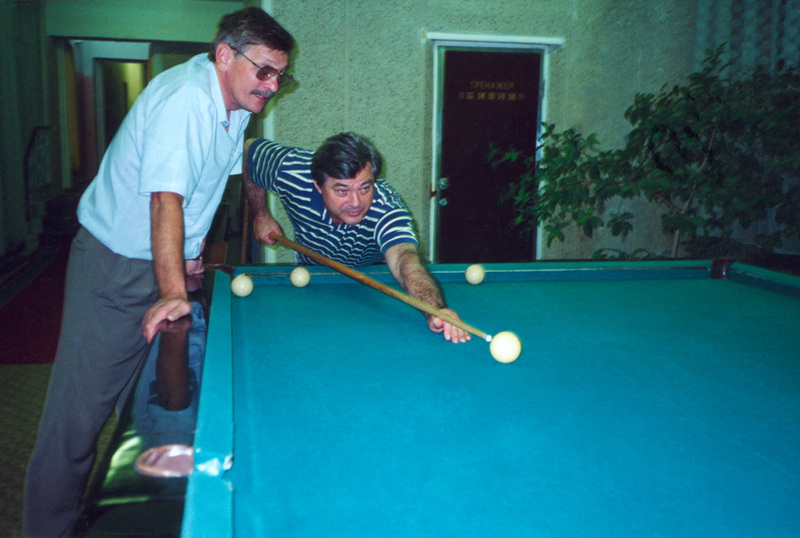 Anatoli Ivanovich passed a long path from a junior research assistant to laboratory head (1978), head of a department (1980), first deputy director for science (1983) and, finally, director of the Institute (1988). The major scientific pursuits of A.I. Grigoriev are focused on the investigation into the consistencies of responses and mechanisms of adaptation of various functional systems of humans and animals to extreme, including spaceflight, environments. His monumental contribution to the fundamental and applied space biomedicine cleared the way to the lengthiest manned missions on the orbital stations ever made in the world. In the Museum of Aviation and Cosmonautics, Washington, the USA, 1979. A.I. Grigoriev and O.G. 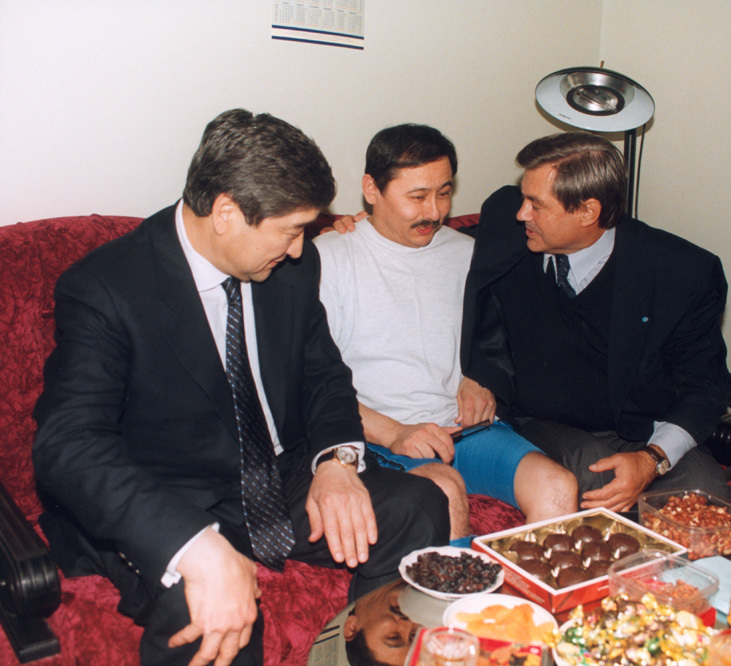 Gazenko are carrying out medical examination, 1992. Chairman of the General Medical Commission A.I. 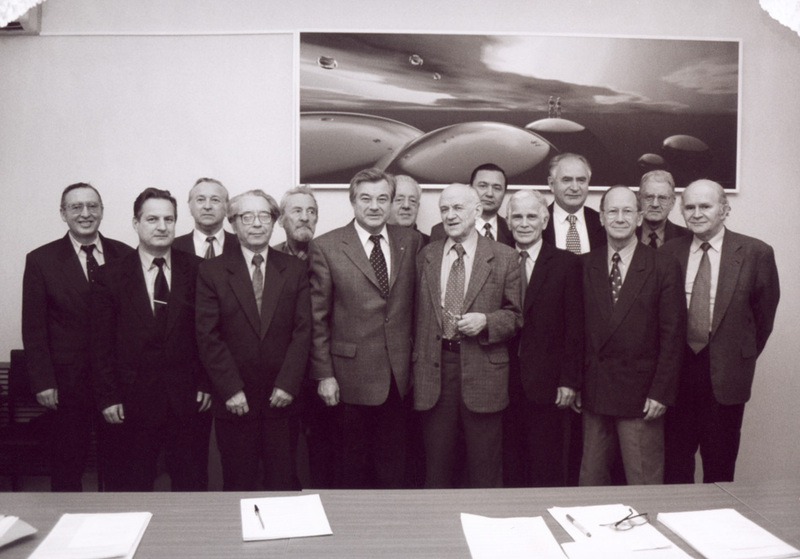 Grigoriev is bidding farewell before launch, 1995.
at the University named after Ludwig-Maximilian, Munich, Germany, 1996. Among his most prominent research achievements of the general theoretical relevance are demonstration of the impact of microgravity on sensitivity of the executive organs to biologically active substances and the implication of water-electrolyte shifts in vestibular disorders and degradation of the orthostatic stability and g-tolerance, clarification of the mechanisms underlying the reconfiguration of the renal water and ions transport system and minimalization of the physiological functions and the endocrine regulation of metabolism in the micro-g environment, and establishment of the regularity of changes in the visceral systems and their interactions under the influence of extreme factors. In his metabolic investigations with participation of cosmonauts he was the first to apply provocative tests and then more elaborate, isotope methods. He was one of the pathblazers who began to use wet and dry immersion models of microgravity in this country. 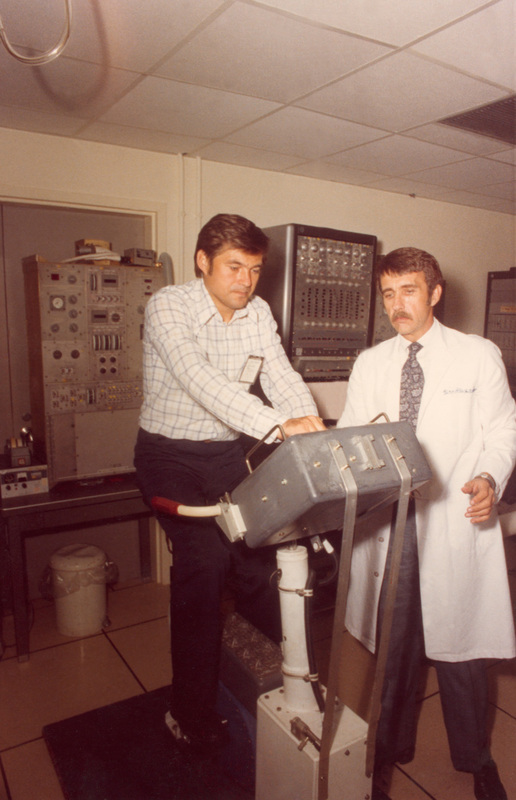 Based on his studies of mechanisms of adjustment of the renal function, water-salt metabolism and its hormonal regulation during simulated and spaceflight microgravity, he test developed methods for pharmaceutical and alimentary correction which were united into an effective system of countermeasures against the adverse physiological shifts in microgravity. Mr. K. Deutch is rewarding the IAF Vice-president A.I. 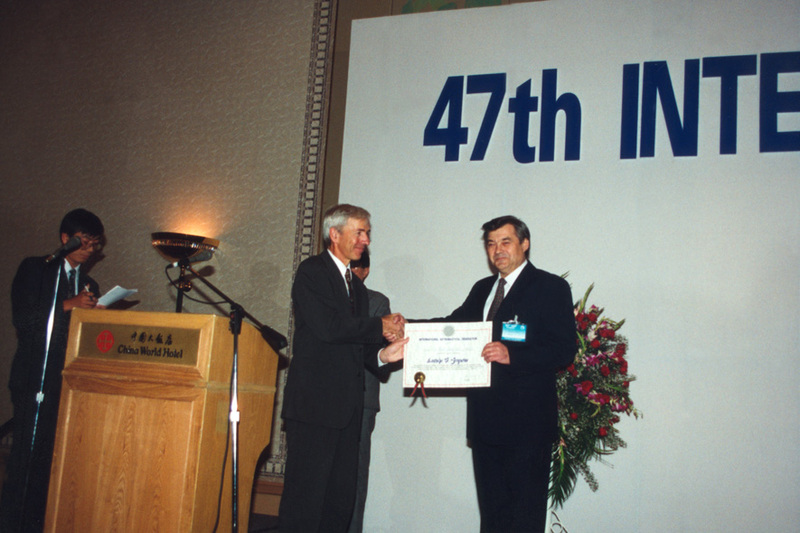 Grigoriev with the highest award of the Federation named after Allan D. Emil, Peking, China, 1996. Head of the Lion University (France) is rewarding A.I. 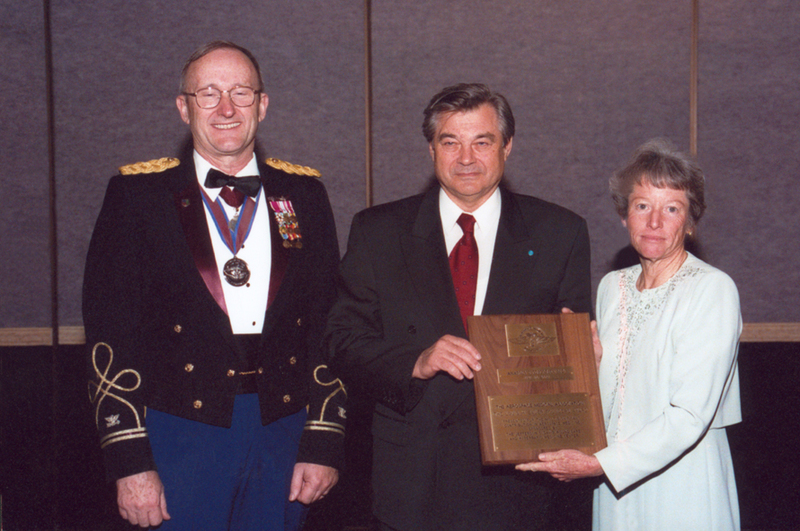 Grigoriev with the Honoris Causa medal, 1989. A.I. 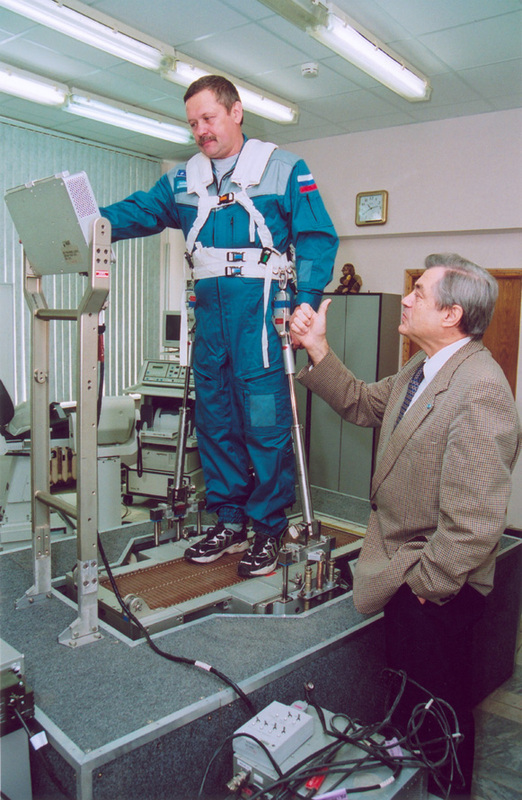 Grigoriev and physician-cosmonaut B.V. Morukov during testing on the treadmill for the International Space Station, 2002. Since 1983, A.I. 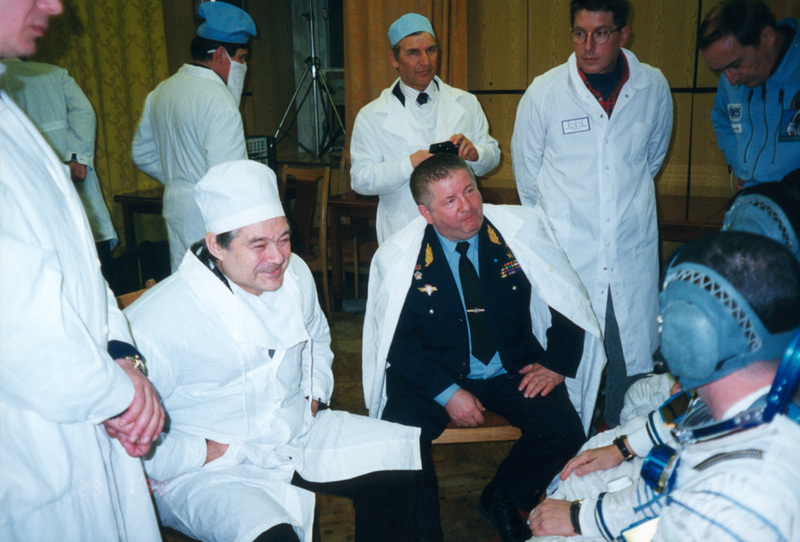 Grigoriev has been at the head of the medical support to the Russian manned space programs. He is the top authority for medical operations and biomedical research in the Russian orbital segment of the International Space Station, chair of the Interinstitutional Space Medicine Board of the RAMS and Ministry of Health, the Main Spacecrew Medical Certification Board, and vice-chairman of the Coordinative Scientific-and-Technical Council of the Russian Aerospace Agency and the RAS Section of Biological Sciences. On results of ground-based simulations of different length with the purpose of testing countermeasures, A.I. Grigoriev and his colleagues drew up recommendations for flight directors. A.I. Grigoriev directed the unique simulation experiments that laid a scientific basis for introduction into the spaceflight practice of methods for medical monitoring, prediction and control of human health and performance, and development of a system of means and methods to oppose to the negative effects of microgravity. Knowledge of the processes of adaptation of the main functions in humans and animals during space flight gained with personal participation and under the leadership of A.I. Grigoriev made possible the long-duration (one-year and longer) orbital missions of cosmonauts. In recognition of this accomplishment, A.I. 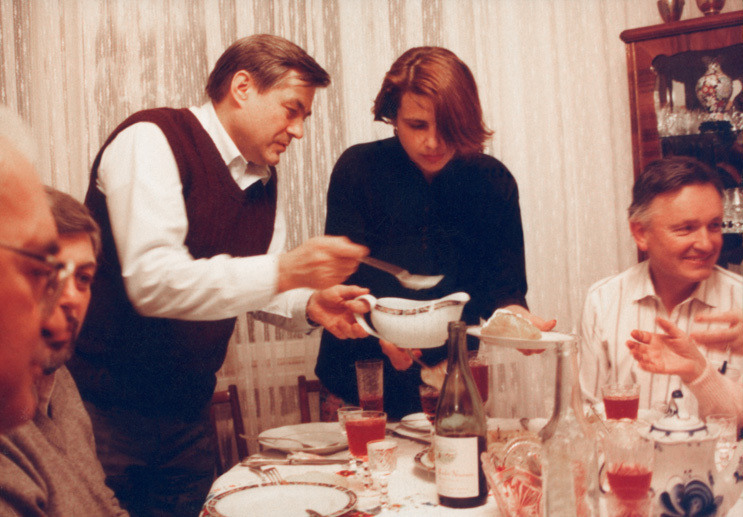 Grigoriev was awarded with the USSR State prize of 1989. A.I. Grigoriev was also at the head of the cardiovascular and metabolic researches in long-duration space flights which brought to light mechanisms of minimalization of the body functions and the endocrine metabolism regulation in microgravity, alteration of the reactivity of target-organs to system regulators (hormones) specifically. 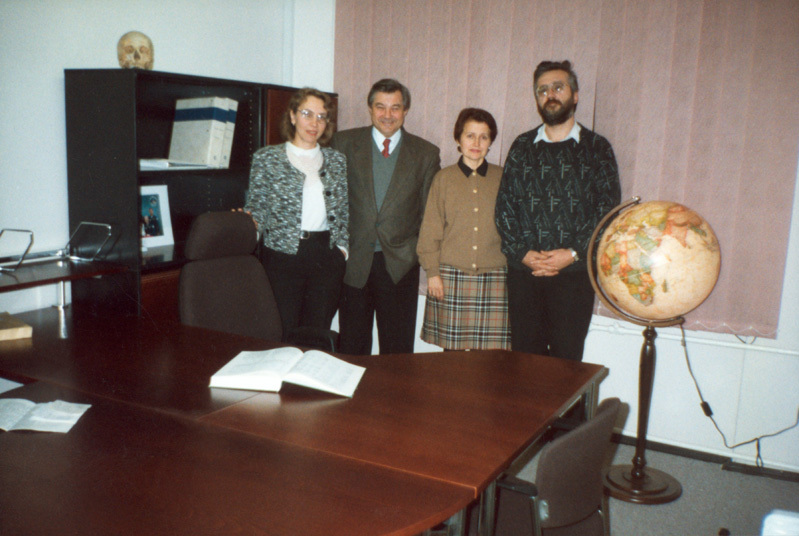 In 1996, together with Prof. R.M. 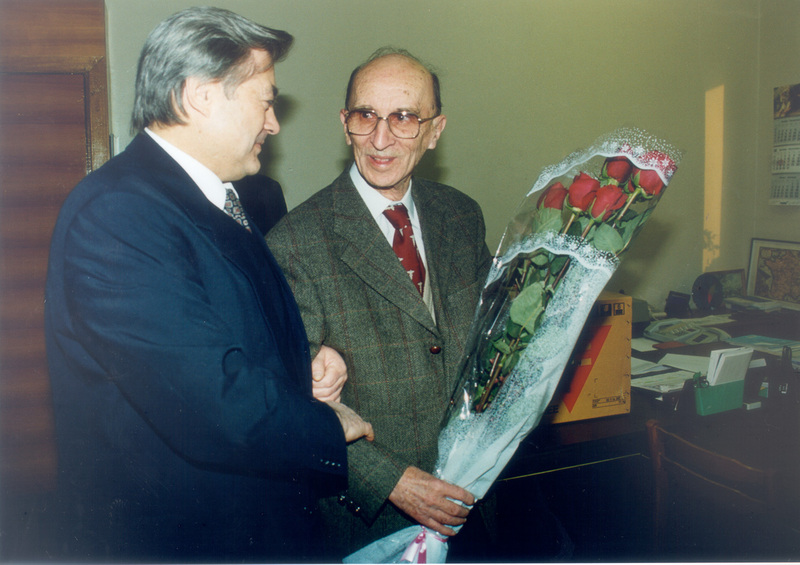 Baevsky and Prof. A.D. Egorov A.I. 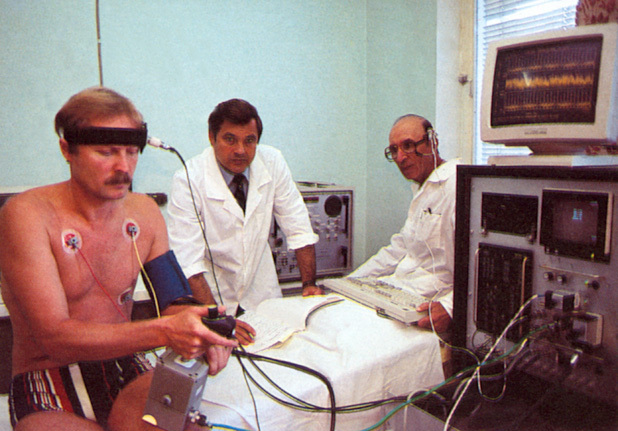 Grigoriev received Parin's award (RAMS) for a series of cardiovascular investigations in space and during bed rest. Also in that year, A.I. 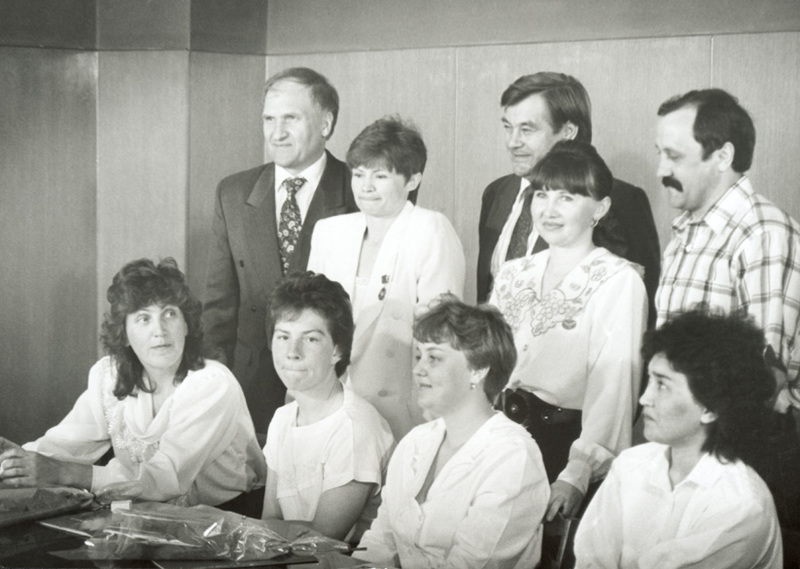 Grigoriev and a team of his collaborators won the prize of the Russian Government for physiological animal studies on the BION satellite program (1973 - 93) and their contribution to theoretical and applied space medicine. Concerned with adaptation of living organisms on varying levels of evolution (from insects to primates) to gravity, the investigations did not reveal any biological constraints to a gradual extension of piloted space missions and substantiated planning of the strategy of space exploration by the man. In addition, data of the investigations constituted a platform for development of a new discipline - gravitational physiology. 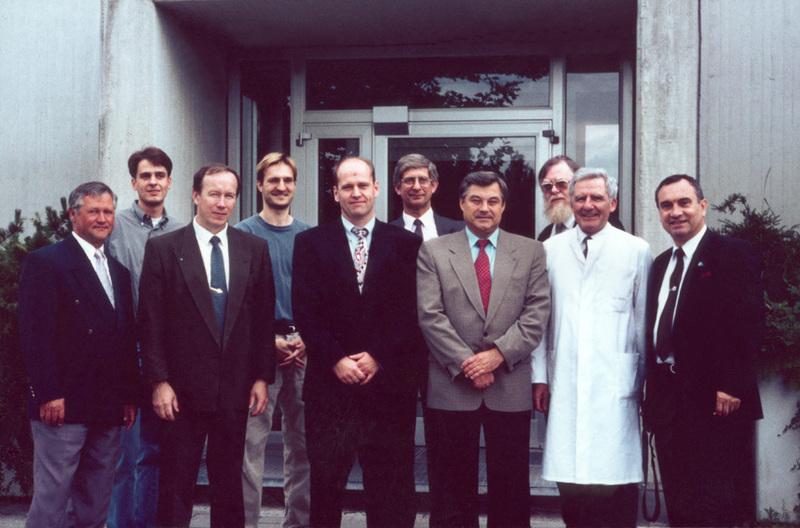 In 2001, a team of investigators including A.I. Grigoriev was a recipient of the State Prize of the Russian Federation for a complex research of motor control on a backdrop of sensory disorders in the micro-g environment and informational support of the quality control of visual vehicle stabilization. The research revealed key components and mechanisms responsible for the failure of intersensory interactions to adapt to real or simulated space flight and ways to block these developments; a method for controlling the quality of visual vehicle stabilization was proposed. The unique experience in fundamental and applied investigations during space missions accumulated at IBMP under the directorship of A.I. Grigoriev can fertilize some other disciplines that are not directly linked with exploration of the outer space. This assertion is specifically true in relation to extreme and hyperbaric medicine. For more than 10 years, A.I. Grigoriev has concentrated on the telemedicine technologies. In recent years, he has been involved in testing an infrastructure of telemedicine networks to subserve in-space medical operations and to improve the quality of health care services; on this phase, many clinical centers of Russia are in the process of integration into a vast telemedicine system. A.I. Grigoriev also gravitates to the theory of the norm and premorbidity. The wealth of observations of healthy people made at IBMP among whom were candidates to cosmonauts, cosmonauts, aquanauts, rescuers, pilots, athletes and test-subjects can be very helpful in resolution of this sophisticated problem. A.I. Grigoriev attributes much importance to promotion to health services, including rehabilitation, the space medicine findings and technologies. He was a co-author of a method for dynamic proprioceptive correction now applied in rehabilitation of neurological patients. The method is covered by patents and widely used in Russian medical centers to treat, specifically, for children's cerebral paralysis and some other neurological diseases. All-round studies of bones in cosmonauts, test-subjects and patients afflicted with osteoporosis conducted with his assistance are aimed at evaluation of bone metabolism and architectonics, and proposing new approaches to early diagnostics of osteoporosis. Versatility of his research interests, great learning, the ability for creative relations with colleagues, irrepressible urge to search for fresh forms of and approach to solution of scientific problems won A.I. Grigoriev the well-deserved authority in the scientific world. In 2001, he was elected a member of Presidium of the Russian Academy of Sciences and in 2002 he took the post of Academician-Secretary of the RAS Section of Biological Sciences. The Russian Academy of Sciences. In the Institute of Molecular Biology, 2002. At the Presidium of the Russian Academy of Sciences. From left to right: academicians Yu. V. Natochin, A.I. 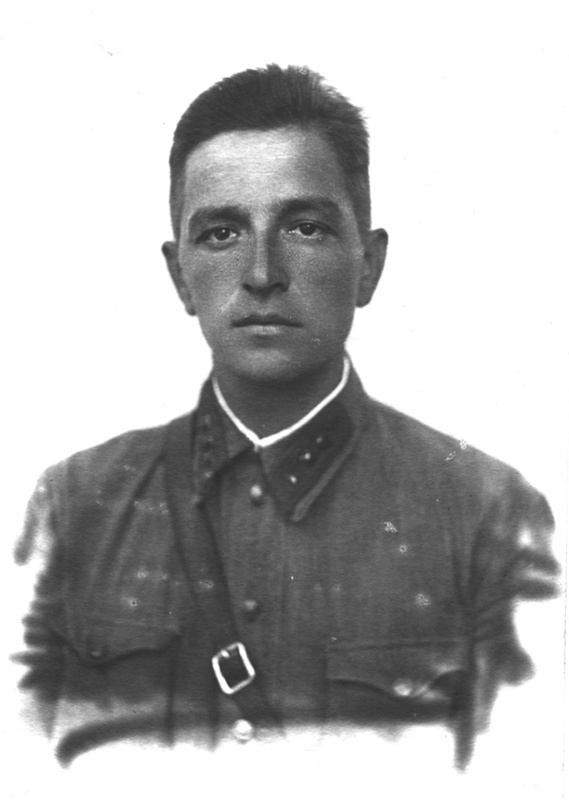 Grigoriev, R.V. Petrov. 2000. Since 1995, A.I. Grigoriev has been chairing the sub-faculty of ecological and extreme medicine at the Moscow State University. He trained more than 20 doctors and candidates of science in the fields of space physiology and extreme medicine. Moscow State University, 1998. 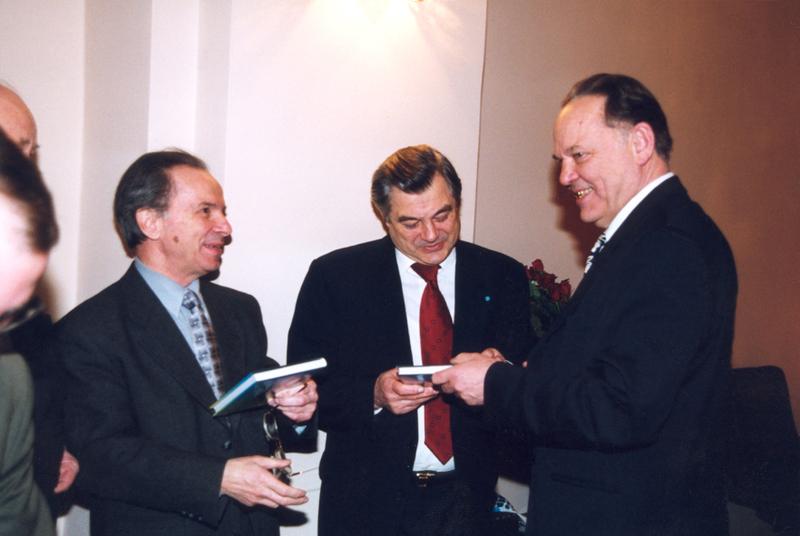 The editors of the "Aviakosmocheskaya i ecologicheskaya meditsina" magazine. 2001. A.I. Grigoriev fulfills the duties of editor-in-chief of journal Aerospace and Ecological Medicine; he is a member of the scientific editorial board of the Big Russian Encyclopedia, the editorial boards of Physiology of Man, Bulletin of the Academy of Sciences, and a number of international scientific journals. Over a span of many years he has been a co-editor of joint US/Russian publication Space Biology and Medicine. For many years A.I. Grigoriev has been spending much of his energy on improvement of science management; he has been chair of the Space Biology and Physiology section of the RAS Panel on Space since 1991, chair of the Interinstitutional Space Medicine Board of the RAMS and Ministry of Health since 1993, a member of the RAS Council on furtherance of the scientific heritage of pioneers of space exploration since 2002. A.I. 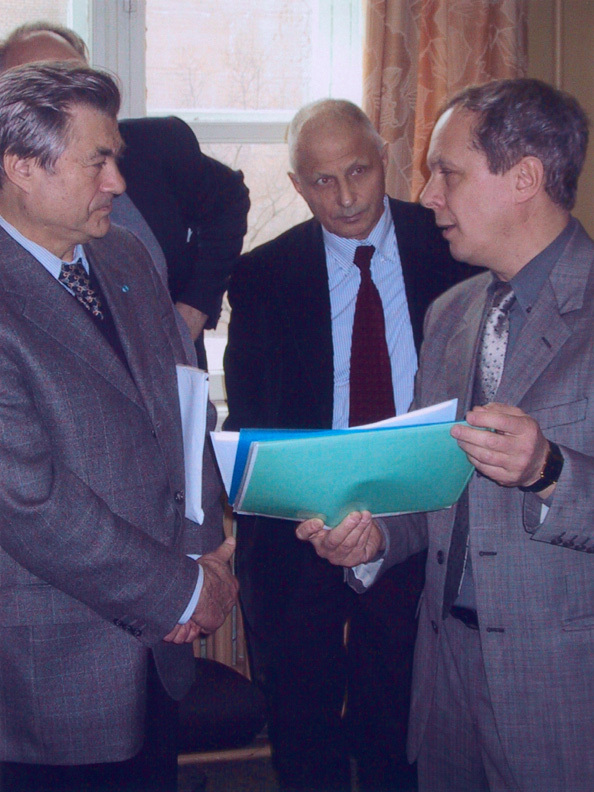 Grigoriev is an advocate of broad international cooperation in space biomedicine. Owing to his personal efforts Russia occupies a worthy place in the international space research cooperation. He is the Russian lead in the programs pursued cooperatively with the US, France and countries-members of the European space agency. The international community pays a high tribute to A.I. 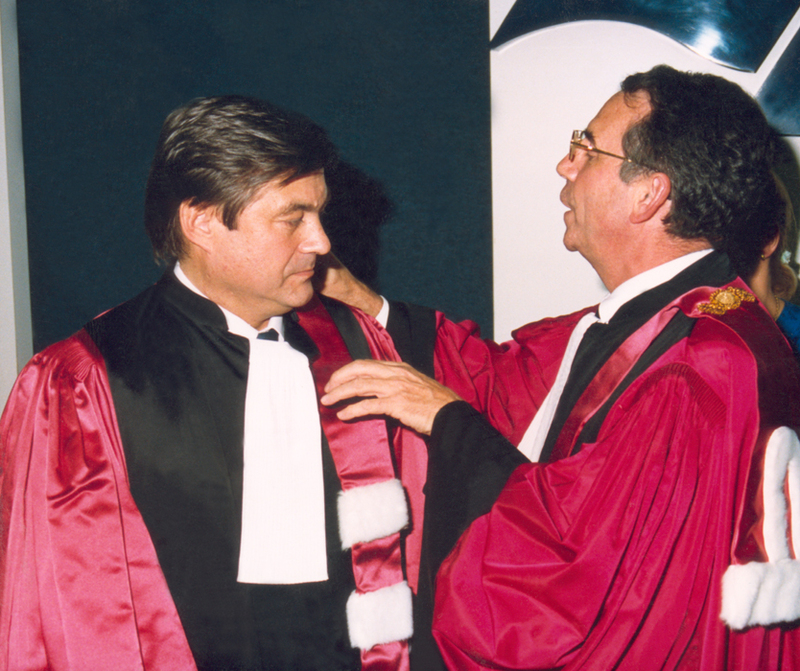 Grigoriev and his research and administrative activities the proof of which is his vice-presidency in the International Academy of Astronautics, membership in the International Union of Gravitational Physiology, and award of Honoris causa by the University of Lion (France). A.I. 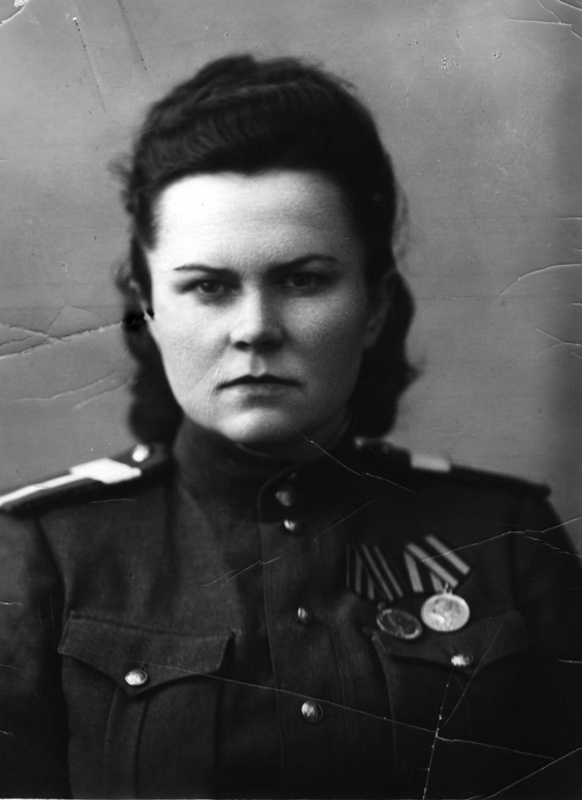 Grigoriev was a recipient of orders and medals of Russia and other countries, and honorable decorations of international and national organizations. He authored and coauthored above 300 scientific papers including 7 monographs and 16 chapters in books, and took out 22 patents. are visiting A.I. Grigoriev, NASA, the USA, 1994. A little free time at the Baikonur cosmodrome. Alone with nature. It happens so rarely! 2002 �.